Let me get one thing straight right off the bat, October 31st will be one of the best days of this year. Why? Because Assassin’s Creed III. In my own opinion, no other new IP this generation has had as much impact on the masses as Ubisoft’s hstory/sci-fi series did. It almost always features a compelling story, enjoyable gameplay and gorgeous open world lands to explore. And today, Ubisoft uploaded the latest trailer to YouTube. 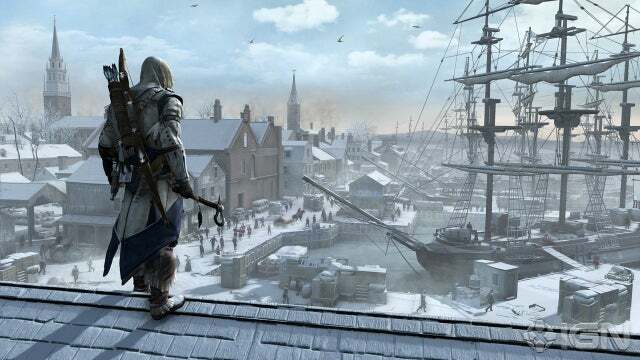 Assassin’s Creed III won many awards at E3 and has strong pre-order sales. I think it is safe to say that it might win more than just a few Game of the Year awards at the end of the year. I know I’m excited and ready to Rise… Are you?